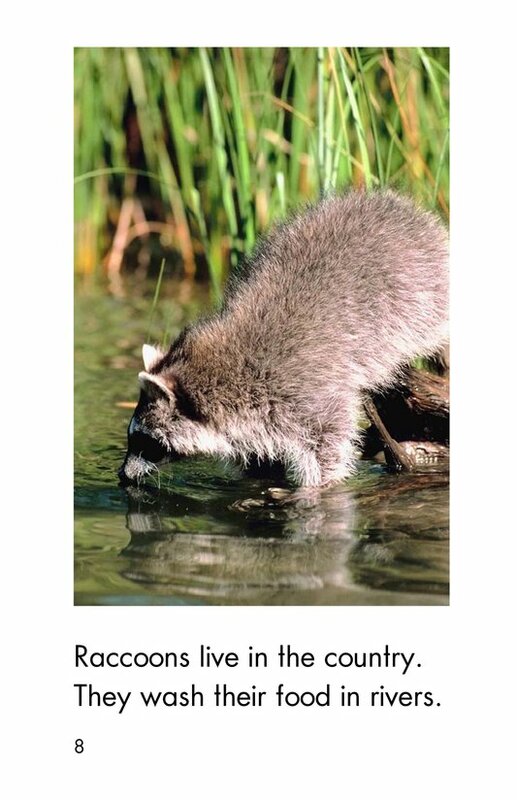 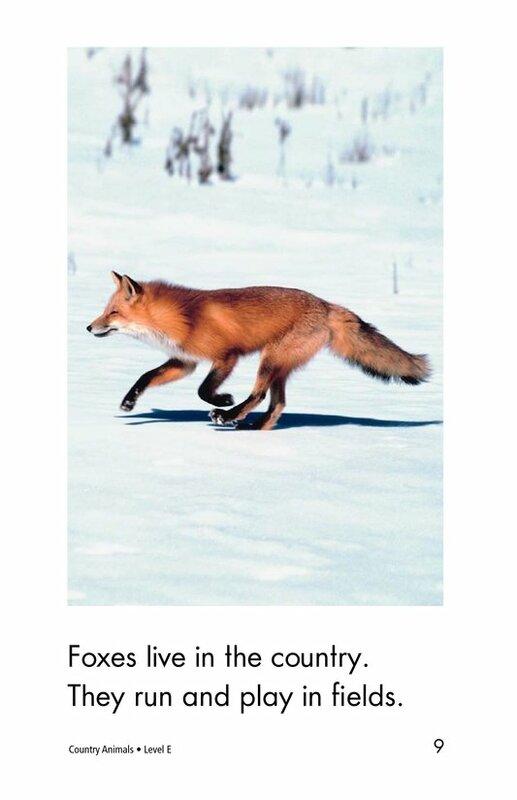 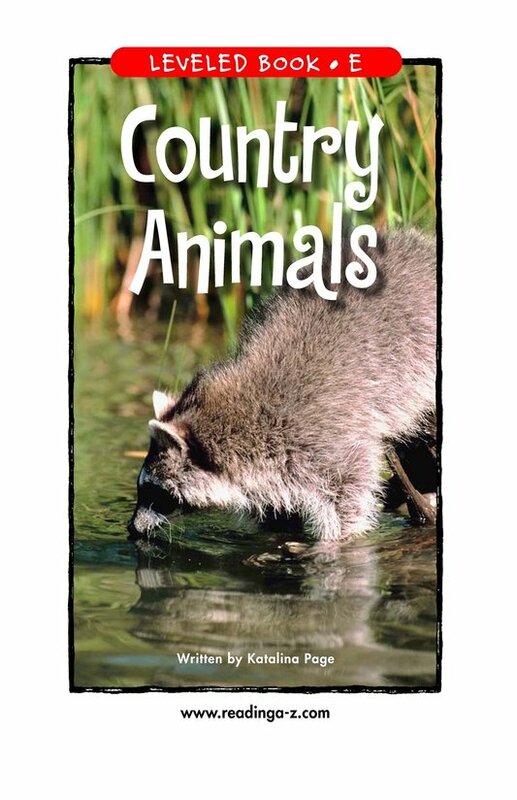 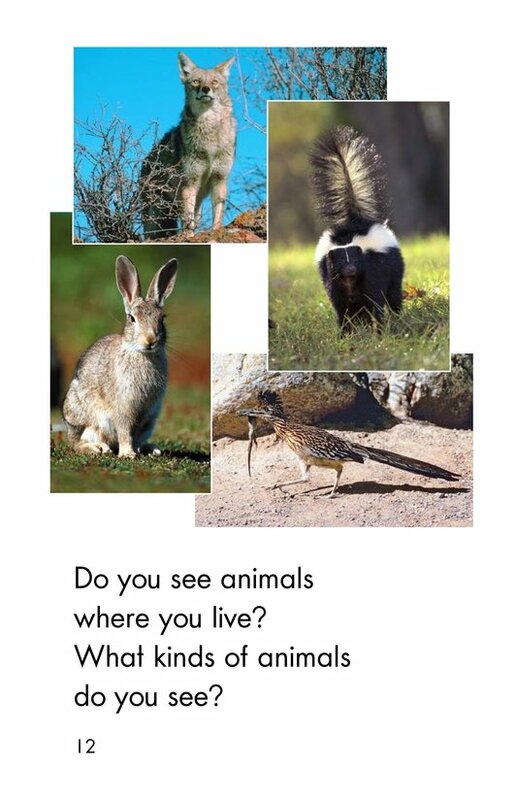 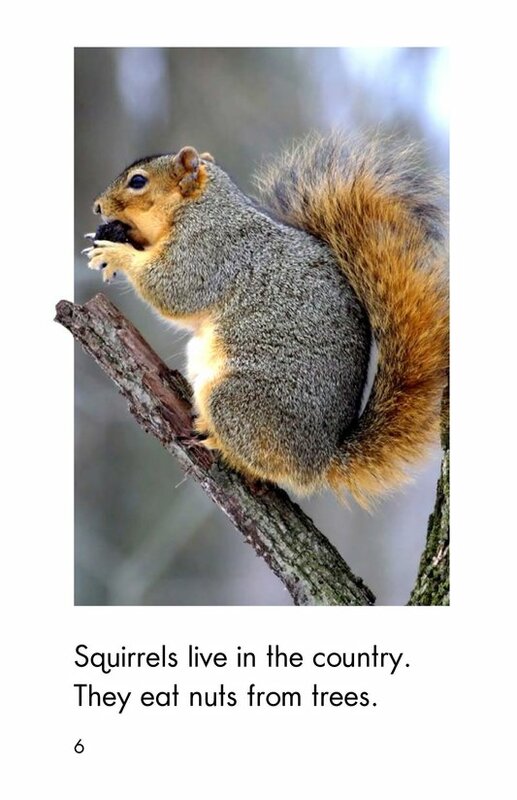 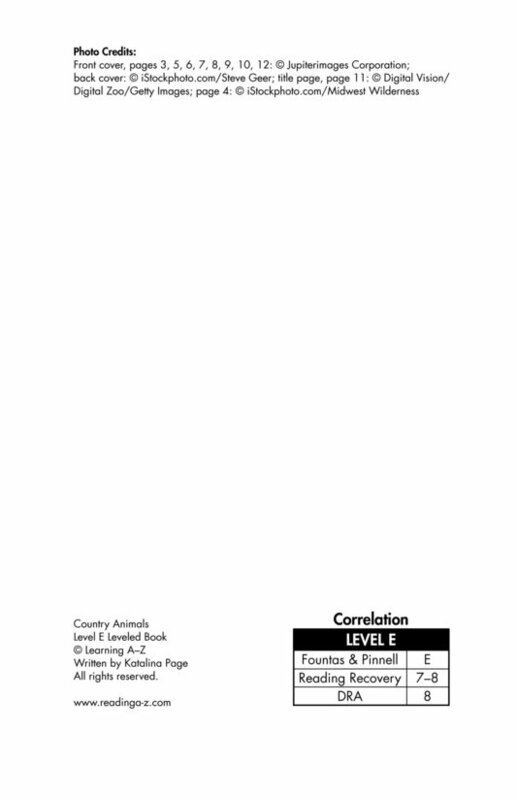 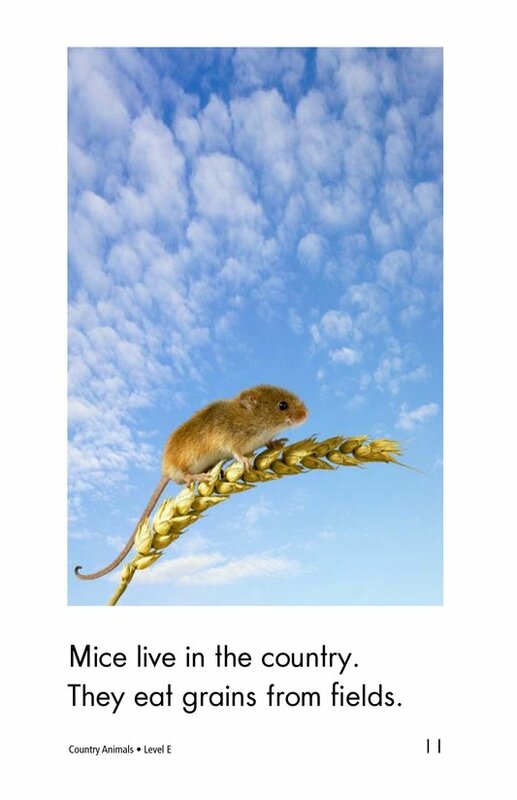 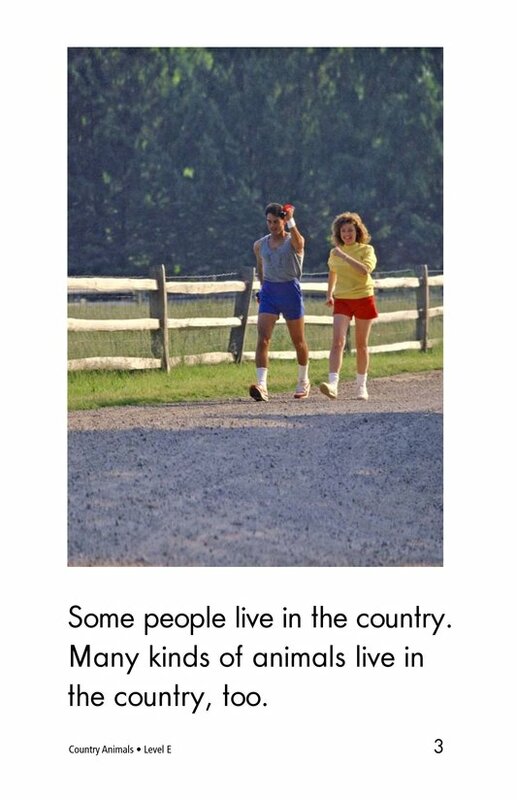 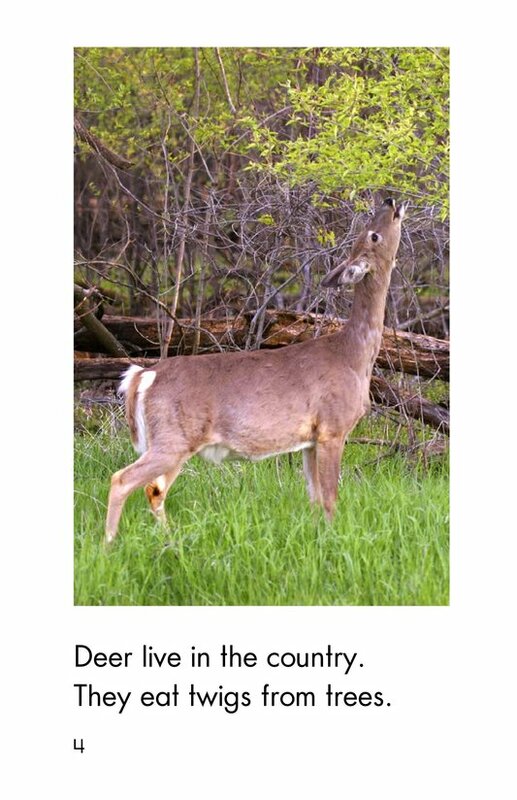 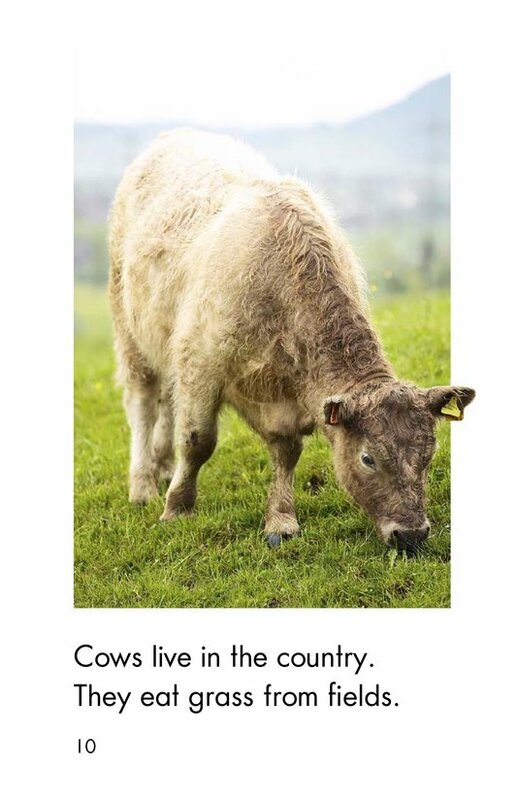 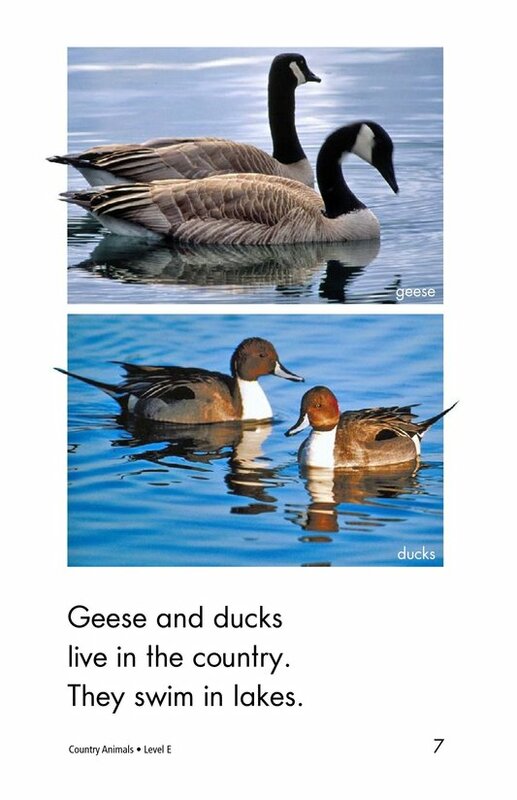 This book teaches students about the types of animals that live in the country. 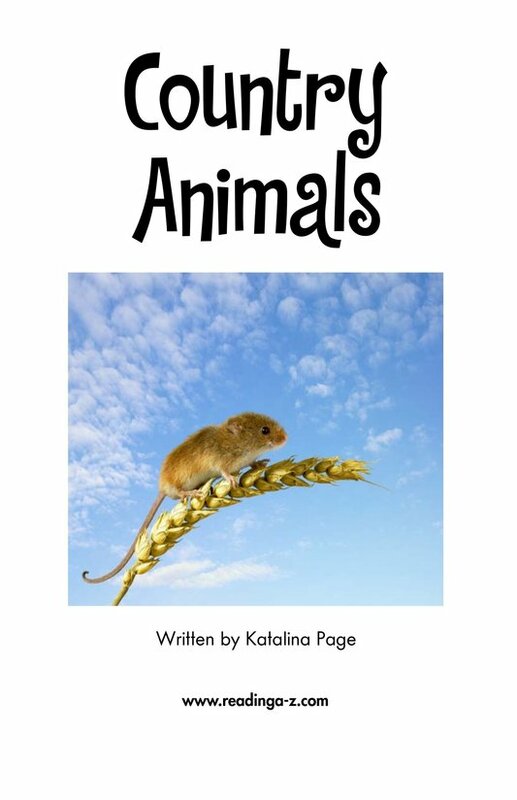 Students learn some of the eating habits and activities of these animals. 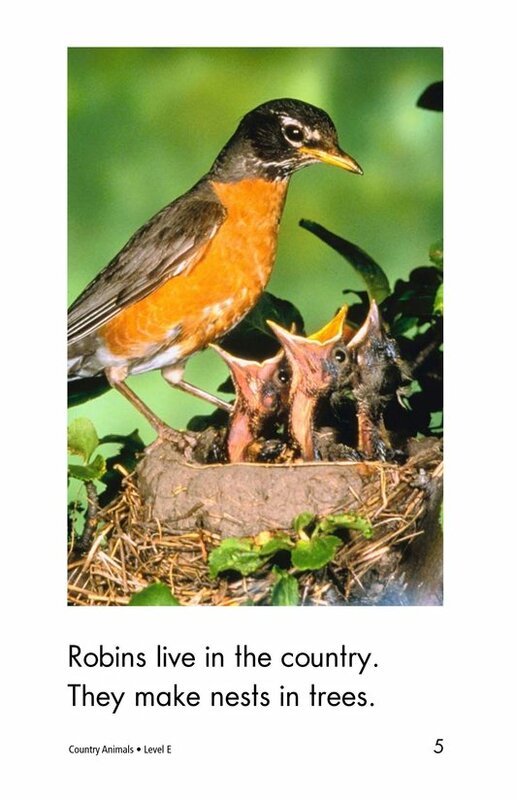 Detailed photographs and repetitive phrases support early readers.